Wine and dine your special guests offering glamour and high end Gold Cup Polo hospitality, where the buzz from the crowd will leave lasting memories. 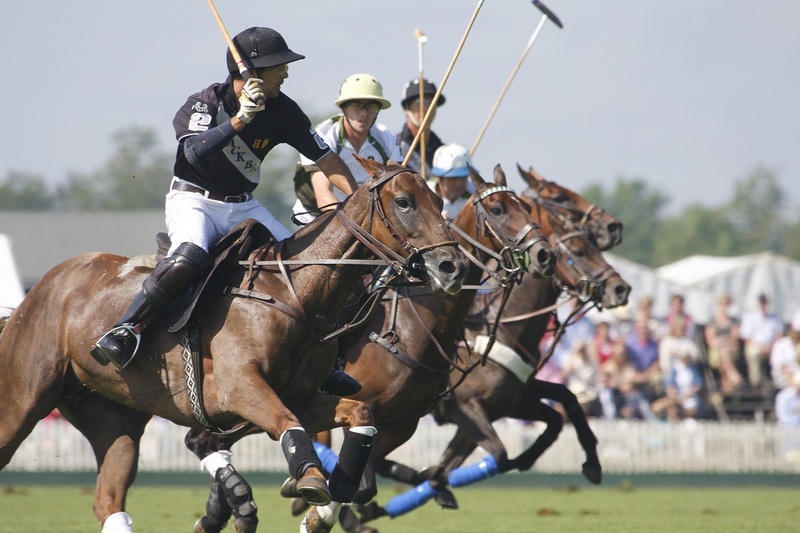 Regarded as one of the premier polo sporting occasions in the world, the Gold Cup polo event features top level high goal matches in the beautiful setting of Cowdray Park. The Gold Cup polo final is the climax of the British Open Polo Championship, the tournament that every patron wants to win! The final day has been a highlight in the quintessential British Social season since 1956 and attracts up to 18,000 guests and array of trade stands. 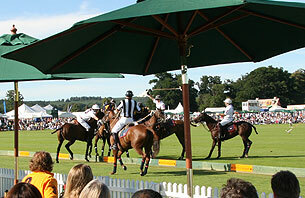 Come and join the celebrities and guests for this long standing prestigious polo hospitality. Tension is certainly high making this a class corporate polo hospitality act for entertaining guests or colleagues. Polo is one of the fastest ball games that exists and boasts to be a glamorous sport of sheer adrenaline, excitement, skills and precision and with hospitality to match this certainly will be a day to be seen at! The Semi Final fits perfectly into any hospitality diary being mid week. Enjoy the benefit of seeing the two enthralling matches and all within easy reach of London. Both the Semi's & Final day has been a highlight in the quintessential British Social season since 1956 and attracts up to 18,000 guests and plenty of trade stands. Wine and dine your special guests offering glamour and high end Polo Hospitality, where the buzz from the crowd will leave lasting memories. Professional polo player on hand to explain the rules and action. Plus anything else you want to know about polo! Come and join the celebrities and guests for this long standing prestigious polo hospitality. Polo is immensely fast with the most athletic ponies that can travel at up to 45 miles per hour, change and turn on a sixpence. And as guests you have a vitally important role to stomp the divots at half time! It's an event that everyone loves and as polo players it's certainly the main polo event we attend! Seriously well organised and delivered. Simple process with an event company that really are what they say. Couldn't have been better. 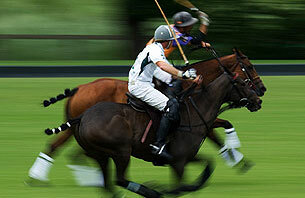 I can highly recommend a polo event and definitely book with Seriously Cool Events & The Corporate Polo Company. Be associated with this incredible sport and enjoy this quintessential British Summer sporting event offering high speed action both on and off the pitch. Enquire with our event team to book your Polo Hospitality today.